Male; all of us except Suki were Male and we have been/were all neutered/spayed. 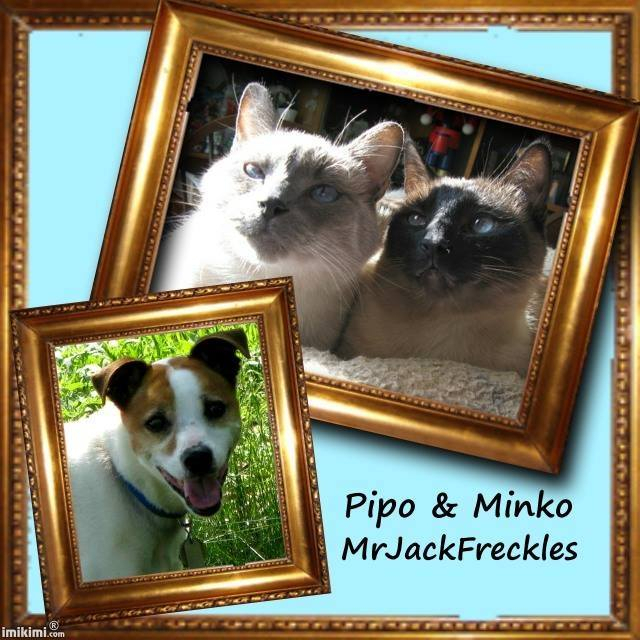 Pipo has his birthday on the 'official', Angel Minko was Dec 29, 2004; MrJackFreckles (a Jack Russell Terrier) has his birthday on April 29, 2002. There are 4 other Angel kitties in our family: Groucho, Simba, Suki and Toki. All of us kitties are/were Siamese of Seal Point or blue color.